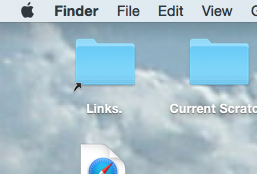 Click on the desktop to switch to the ‘Finder’. 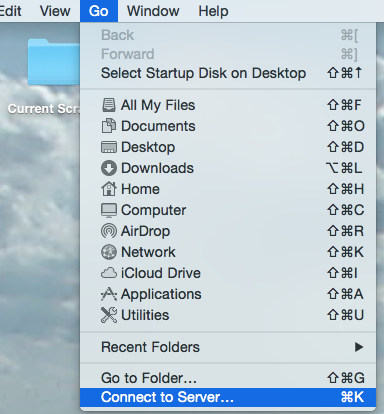 Select ‘Connect to Server . . .’ from the ‘Go’ Menu. A window displaying the contents of your R-drive will be displayed. 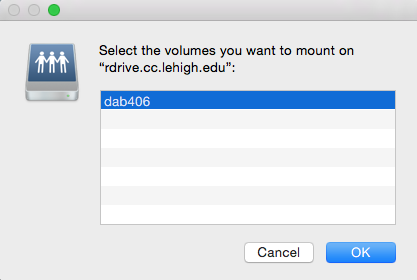 If your Finder is configured to show it, the volume will appear on your desktop, labeled with your username. Note that if you have your H: drive mapped also, the icons are visually identical.